Ships Today if ordered within 0 hrs and 38 min. 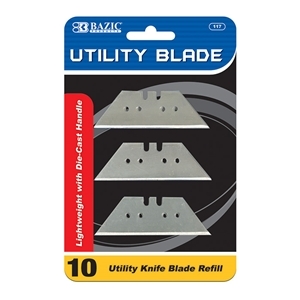 Package Includes: 1x Utility Knife Replacement Blade (10/Pack). For use with fixed blade knives only. Replacement Blades for our utility knife. Ideal for construction, industrial and garage use (10 per Pack).